Are you feeling bored from your daily life routine ?! 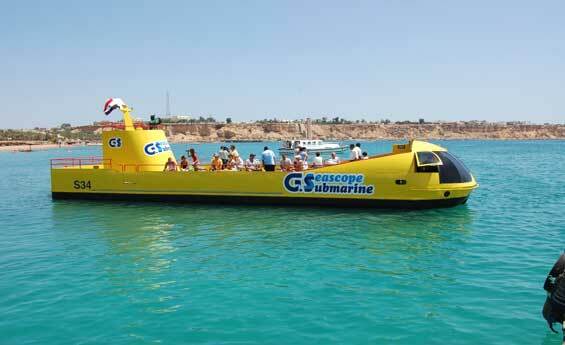 Come and enjoy discovering the underwater world of the Red Sea, watch the different kinds of the colored fish, see the amazing coral reefs from your sea scope Submarine. Shaspo Tours representative will pick you up from your hotel in Sharm, transfer by air-conditioned modern van to your Submarine, it is a new experience to discover the underwater world of the Red Sea, watch the different kinds of the colored fish, see the amazing coral reefs with its fantastic colors from your sea scope Submarine, the view from your submarine is so clear where it will allow you to take fantastic photos for the underwater world of the Red Sea in Sharm El Sheikh, at the end of your Submarine trip, transfer back to your hotel in Sharm.